Operation Yellow Ribbon sends supplies and goodies to soldiers deployed in the Middle East. For active-duty military members serving overseas, even the slightest reminder of home can make a world of difference. For this reason, Operation Yellow Ribbon has made it their mission to support our U.S. military forces by collecting supplies and goodies and sending them to soldiers deployed in the Middle East. 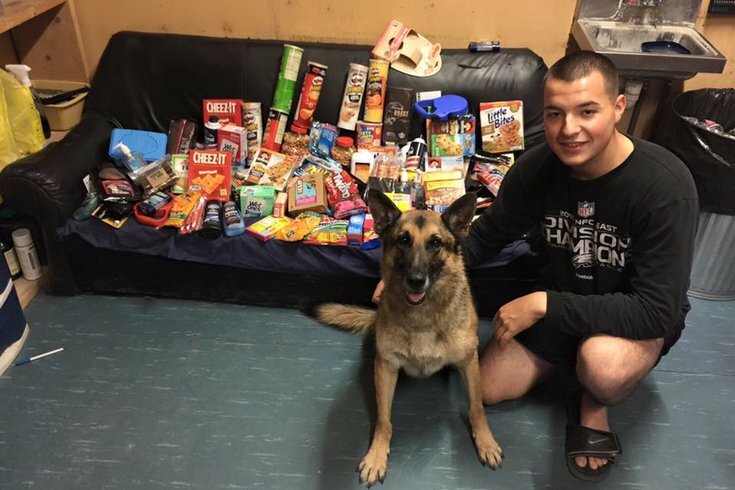 Each month, this nonprofit organization collects more than 4,000 pounds of treats that are then organized into care packages and delivered to military forces in Iraq, Afghanistan and those supporting Operation Enduring Freedom and Operation Inherent Resolve. Operation Yellow Ribbon also promotes, plans and facilitates welcome home events for veterans in the South Jersey area. The services and care packages provided to our soldiers by Operation Yellow Ribbon are only made possible by the donations received from individual supporters throughout the region. In November, TD Bank will be collecting donations for Operation Yellow Ribbon at six store locations in South Jersey as part of its Bring Change initiative. With your donations and a contribution made by TD Bank, these brave women and men can get a little taste of home. To make an online donation, visit the organization’s website here.